They were always (and continue to be) responsive to our questions, even after the project was completed. Looking for the Best Smart Home Systems? Here’s why client’s choose us. While others companies focus on sales, we focus on excellent service to our clients. We take the time to understand your needs, your lifestyle, and your priorities so we can implement home automation solutions that will truly elevate your life. We stand by our work and are there for you if you need upgrades or maintenance of any kind. As one satisfied customer says: “Lifetronic Systems is about doing the job right as opposed to taking shortcuts”; or another, who credits us with the design creativity that improved the final outcome, reduced the cost and simplified the job process. Lifetronic Systems installs cutting-edge smart home technology in any structure, be it a 200-year-old historic home or modern office building. We work with homeowners, builders, architects and interior designers to seamlessly blend technology with design, simplifying even the most complex systems so anyone, of any age, is comfortable with their new smart home. We ensure that your new technology is seamlessly integrated and professionally installed by home automation experts. You will be able to control all the features in your home through one single app (or keypad). Our standards of quality are as high as yours. We love when our clients demand perfection. We’re proud to say that we can deliver, because we demand perfection of ourselves. We choose only best in class products. We know what works best and we ensure that only the highest quality products are installed in our client’s homes. No project is complete until you are 100% satisfied with our work. We pride ourselves on our communication and clear and transparent process. We’re generous with advice throughout the project, and if you find that you need assistance after your system is complete, we’re just a phone call away. You won’t see cookie-cutter solutions from us – each of our designs is as unique as your home or business.Our solutions are completely customized to your needs. What’s right for your neighbor’s home might not be right for yours. We live and breathe home automation. We are certified in all the finest systems and can objectively advise you about which system will work best based on your priorities. We’ve been implementing fully customized solutions into our client’s homes for over a decade! We might be a boutique operation, but we’re big on attention to detail. 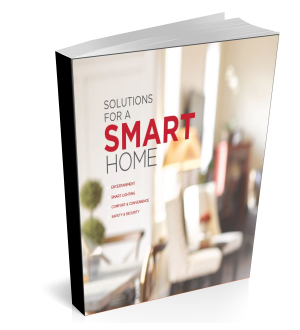 Want more information about Home Automation? Contact us today to set up a free consultation, in your home or business. Fill out the form call us at 203.226.2386. The possibilities are endless. Local Service Areas: Lifetronic Systems is located in Westport and Greenwich CT, and services all of Fairfield County, CT, and Westchester County, NY, including: Westport, Weston, Wilton, Easton, Redding, Fairfield, New Canaan, Darien, Greenwich, Stamford and beyond. We also travel beyond Connecticut and New York upon request.